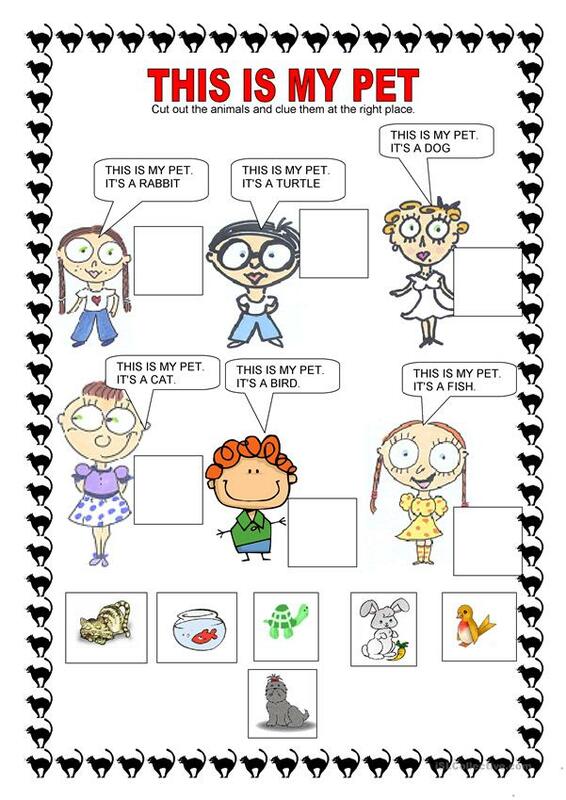 Worksheet meant for very young learners. The children have to cut out the pictures of the pets and glue them in the case where the correspondents words are. It could even be used with children that can't read yet if the teacher sentences. The above downloadable handout is a great resource for elementary school students, kindergartners and nursery school students and students with special educational needs, learning difficulties, e.g. dyslexia at Beginner (pre-A1) and Elementary (A1) level. It is useful for honing your class' Reading skills. I'm Austrian but I have lived and taught for a long time in Brazil. I teach English, French and German.